Choosing a waterproof jacket can seem like a major task when you see just how many options there are on the market. From the different types of shells, varying materials and waterproofing techniques, colours, shapes and everything in between, it’s not easy to know where to start. Plus throw in the pressure that this is also potentially the most important item of clothing in your outdoor and travel wardrobe, and you’d consider just staying home instead! But the good news is that we’ve decided to try and simplify the process a bit. Whether you’re heading to the mountains, for a weekend out on the trail, or simply for a jaunt in the hills, one thing you can’t afford to be without is good quality rain gear. In an ideal world all outdoor activities would take place in sunny, dry weather but some point you’ll get caught in a downpour or hit by a shower where the rain seems to be blowing sideways, and you’ll fair a lot better if you’re wrapped up in a well made outer garment. Anyone looking for basic rain protection – i.e. light rain for short windows of time – should consider softshell jackets, as they are more breathable and comfortable to wear. The trade off is that they are not as water-resistant. Anyone into mountaineering and longer hiking trips, of weeks at a time where durability is a priority, should opt for a three-layer (face fabric + membrane + liner) rain jacket but expect to shell out (excuse the pun) a fair wack more. Choosing the right jacket is not an easy task however. So below are some key things you’ll want to take into account when looking at jackets. In general, a higher priced jacket means it has greater capabilities but not everyone will need them all. Whilst men’s jackets are pretty standard in terms of fit (unless opting for slim build or extra length), women’s jackets are tapered to a female build to avoid having excess material flapping around or not quite enough so that you can hardly zip it up. As a result, we would recommend avoiding unisex jackets, as the one-size-fits-all approach never quite ticks all the boxes. Before purchasing, check whether reviews comment on the brand coming up small/large, and depending on how you layer it might even be worth buying a couple of sizes to try and sending one back. Length-wise, some women’s jackets offer a tapered or dipped back to offer a bit of extra protection (useful when cycling) whilst still allowing plenty of movement around the hips. When and where will you be using your jacket and for what activity. On the whole, it’s probably going to be for hiking and general outdoor use. This means that something relatively basic, but still of a good quality, will suit your needs. What type of weather will you be mostly using your hiking jacket in? Are you going to be using it all year round or just in colder temperatures? You might want to consider the period of use each time you wear it – whether it will be for a day or two, or a few weeks. Chances are it will be in a temperate climate, but if you’re going somewhere with humidity then you’ll certainly need something breathable with under-arm mesh or zips. Always make sure you buy a jacket that has room underneath for additional layers, without buying one that is so loose that it gets in the way. It’s unlikely you’d find any quality jackets that are not waterproof to some extent (unless you’re buying a fashion jacket from a high street brand – in which case, you’ve made your first mistake). Instead, you should be looking at what type of waterproofing they have. One of the most common types you’ll see will be Gore-Tex, the clever technology that keeps water out but let’s air pass through to allow ventilation and help wick sweat away from the body during exercise. A Durable Water Resistant (DWR) coating is what is used to keep the outside of your jacket from getting saturated – so look out for this on the label. On a similar note, there are specialised jackets for extremely windy environments – like sailing or cycling. Some of them are pretty high-tech and lightweight but they will generally have minimal waterproof capability and are therefore not very well suited to hikers. The PreCip rain jacket is built with Marmot’s comfortable and breathable NanoPro waterproofing technology, making it a lightweight jacket that is suitable for a variety of activities year round. Thanks to its soft material and free angle-wing movement, the user can experience relatively uninhibited motion and range of motion – making it perfect for hiking, climbing, cycling, and other activities where rain is a concern. The PreCip features Marmot’s NanoPro technology, designed to provide cool, dry comfort in wet conditions—even during high activity. Unlike cheaper alternatives, Marmot’s technologically advanced 2.5-layer lamination offers air permeability but also long-term and durable waterproofing. The microporous structure prevents water droplets from soaking through the garment’s surface, protecting the wearer from even the heaviest downpours, but still allows dynamic air exchange for maximum breathability – allowing perspiration to move away from the body. The taped seams help to prevent leaks, providing enhanced protection from the elements and the chin guard provides additional comfort. However, some wearers reported that the zipper itself was not waterproof, which was noticeable in serious downpours. The hood is adjustable with an elasticated cord to keep it fitted in wind and rain and the stiff brim helps maintain visibility in bad weather. Other standard perks of the PreCip are the drawstring hem and adjustable Velcro cuffs for leak prevention and temperature control, pit zips for quick ventilation and the ability to fold the jacket into itself for quick and easy storage. Best for: An all round waterproof jacket, offering high performance, ideal for everyday challenges. From the Scottish mountains to the Himalayas, Berghaus is renowned for its quality jackets, designed to meet the needs of outdoor enthusiasts across the spectrum. This outdoor clothing manufacturer knows that the difference between enjoying the outdoors and truly loving comes down to one key thing – keeping warm and dry. With that in mind, the Stormcloud jacket allows its users to to boldly head out into the unknown (weather-wise). Whether it’s warm or hailing, the jacket has has the breathability, windproofing elements and waterproof protection needed to take on the great outdoors. Ideal for everyday use, the AQ2 fabric construction is designed for enhanced breathability and its waterproofing properties, developed by Berghaus themselves. The rain-busting hydro-shell fabric repels water but still allows air to flow through. A bonus is that the Berghaus Stormcloud feels a lot more durable than some of the other jackets in this weight range, and we’re confident it would last a fair few seasons. The designers have even taken the comfort of your hands into account, with two zipped hand pockets with a cosy hand-warmer feel – not to be under-estimated after dashing through a cold rain shower. The jacket lacks a drawstring or adjustable bottom, but thanks to its slim fit design, we didn’t see this as being a particular issue. However, one major gripe was that there are no toggles on hood to pull it in during windy/rainy weather. The Outdoor Research Helium II rain jacket is an enhanced version of the original Helium jacket, which is now lighter and more breathable than its predecessor. 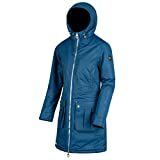 The Outdoor Research Women’s Helium II Jacket is built for flash-storm protection. The 100% waterproof, super-breathable Helium II weighs an incredibly light 5.5 ounces making it perfect for travelling. The jacket is an ultra-compressible piece you’ll never leave behind. This shell is great for a trip where you aren’t sure what the elements will throw at you, and perfect for keeping in a purse or backpack. As the name indicates, the Helium II is extremely light and packs down into its internal pocket to the size of an apple and it weighs even less so you’ll forget it’s clipped to your harness until you throw it on to ward off rain, wind, or cooling temps. The jacket’s fully taped seams prevent moisture from seeping through to your lower layers making it perfect for an unexpected downpour. The jacket comes in an extensive selection of colours so users also don’t have to sacrifice style whilst sheltering from the rain. The Helium II jacket features the Pertex Shield+ fabric. It’s water-repelling PU membrane provides dynamic breathability so that if your body temperature rises and the membrane comes in contact with perspiration, it will transport the moisture to the outside via solid state diffusion. However, like most ultra lightweight jackets, the Helium is described as “water resistant,” meaning that it holds up well for about 10 minutes of constant rain. After this, it starts to feel like some dampness permeates through. To shed some weight, the designers took out hand pockets and there are no velcro straps at the wrists. However, it is possible to tighten the hood down, which comes in useful. Thanks to its light weight and rain protection, the Helium II is not only popular with hikers and campers, but was also voted best waterproof running jacket by Runner’s World in 2015 and was in the runnings for best rain jacket for cold weather canoeing by the Canoe & Kayak magazine in 2016. The Mountain Hardwear Ozonic jacket is a mid-weight rain shell jacket, constructed from hard-wearing 40D outer fabric. Unlike a lot of the lighter jackets on the market at the moment, it seems to fair relatively well in terms of light abrasions but is not so thick that it’s clumpy or uncomfortable. The Ozonic performs very well in terms of ventilation, using Mountain Hardwear’s own patented Dry.Q membrane in a 2.5 layer construction. As mentioned previously, this high level of waterproofing protection will stand up to some pretty tough weather. In warmer temperatures, the large underarm pit zips can be opened for venting purposes and the Dry.Q Active technology is breathable to wick away moisture – making it suitable most of the year round. The hood and cuffs are adjustable using toggles to pull them in and allowing the wearer to create a tapered protective shell when conditions close in. The Stretch Ozonic also features two standard hand warmer pockets. The jacket also comes with a lifetime warranty from the manufacturer which is always nice to have. The hood also offers a wired bonded peak to help it keep its shape and the Vislon Aquaguard zip in the centre at the front prevents moisture from entering. The two zip hand-warmer pockets are located at the right height to be harness and backpack compatible. Really, our only qualm with this jacket was that it’s slightly more expensive than many competitors, but we do think you’re getting what you pay for. The Columbia Arcadia II jacket is a staple item from another great outdoor brand. Columbia, known originally for their ski jackets, have created a number of great rain jackets and shells that are highly accessible in terms of price. It is a basic but functional enough three-season, entry-level rain shell but users shouldn’t expect to be heading off on any major expedition in it. The Arcadia’s make-up is a two-layer construction featuring Columbia’s own waterproof Omni-Tech technology and a standard mesh lining that allows additional movement over under garments or bare skin. Overall, the Arcadia II is perfect for entry-level or leisure hikers and easily crosses over into a day-to-day wearing jacket, thanks to its simple design. If they don’t take to it, it will work great as a day-to-day rain jacket. The Omni-Tech design has been developed to be both waterproof and breathable, as you would expect from a jacket in this class and is also fully seam sealed to prevent any water entering. The storm hood is two-way adjustable and is attached to the jacket but can be rolled away. Although not brimmed, the fact that it can be cinched down allows wearers to create a snug fit in tougher conditions. The jacket itself is packable into one of the zippered hand pockets and in terms of weight, the Arcadia is probably in the middle to top end range against some of the other jackets reviewed here. Unfortunately the breathability is somewhat limited due to the two-layer construction but lack of pit zips featured, meaning that quick on-the-go ventilation isn’t an option. However, the hand pockets are mesh and so can be unzipped and left open to get some additional air flowing through to the torso and the sleeve cuffs can be loosened off. Two-layer Gore-Tex Paclite construction is waterproof, windproof and breathable. The Arc’teryx Women’s Beta Super Light Jacket is an ultralight hardshell that makes few compromises and remains competitive across all categories. This was up their amongst our favourites in terms of hardshell layers for high output aerobic sports. Arc’teryx has mastered the art of creating shells that are fully featured yet minimal. The jacket is cleverly built in a way that makes stiff, plasticky shell material feel more like you’ve donned a sweatshirt. This is thanks to the paneling of the garment, plus the gusseted underarms, raglan sleeves and lack of pit zips (and zips in general) improve mobility and fit. The Arc’teryx Beta SL offers the weather protection of a burly hardshell, for the weight and price of a much lighter jacket. The slender cut comes down fairly long, rather than some women’s jackets that tend to cut in above the hip when they have drawcords at the hem like the Beta SL does. The hood is also adjustable with three drawcords at various points to keep it fitted around the wearer’s head or helmet and the cuffs can be tightened using the Velcro adjustments. Gore-Tex PacLite provides the same high storm-proofing standards, but at a fraction of the weight that you’d expect and the micro-seam allowance (1.6 mm) also reduces bulk. The thinness of the fabric means it is great in terms of wicking heat and moisture away from the body, but adds very little in the way of warmth, unlike burlier fabrics. This is lucky, as it has no venting, no pit zips, and the pockets can’t be unzipped to function as vents as a backup option. This makes it perfect for milder climates where users are relatively active (and light kit is valuable), but wouldn’t be as suited for up in the mountains, or sitting around camp fires at night. The focus of the Beta SL is to be light rather than ultra-strong or burly, so it might not take the scuffs and scrapes as well as some other hardshells. Having said that, it’s well manufactured and plenty strong enough for most adventures. It is definitely a great choice for a year-round shell jacket and would be an essential part of any ultralight summer hiking or mountaineering kit. Best-suited to day hikes in medium to light rain, The North Face Venture 2 Jacket is a popular rain shell, is tried and tested and comes from a well-trusted brand. Coming in at the lower end of the price range, this jacket is just a good all rounder for day-to-day use, hiking in the countryside and throwing on over a jumper around the campfire. This jacket is made from 2.5-layer 40D DryVent and 100% nylon ripstop. Essentially, this means that even though it’s only a third of the cost of some of our other options, it is a top-performing waterproof with a breathable outer layer that protects the wearer all year round. The Dryvent technology, seen across most North Face shells, repels moisture on the outside and wicks it away from the inside. Pit zips offer additional ventilation if it gets stuffy, adjustable Velcro cuffs and a hem-cinch cord enable easy adjustment to help ensure the best body fit, and the Velcro-closed stormflap covers the front zipper. We liked the added bonus of being able to store this jacket in its own pocket, which is a practical choice for varying adventures. The jacket is less fitted than some other ladies’ jackets, which may be a pro or a con depending on personal preference but does leave plenty of room to fit other layers of clothing underneath. A functional but relatively attractive rain jacket, the Patagonia Torrentshell jacket is a 2.5-layer waterproof and breathable performance-standard shell at a fraction of the price. Ideal for layering on the trail, the Torrentshell can be sealed up against the elements by using the interior and exterior storm flaps that run the full length of the central zip and are protected by a chin guard. The two-way-adjustable hood, which can be rolled down, has a laminated visor that ensures water runs away from the face and body – even in heavy showers and light winds. All zips on the jacket are also DWR-treated and the shell is 100 per cent recycled nylon rip-stop with a dowry (durable water repellent) finish. As far as we could tell and feel, the jacket felt pretty durable without feeling totally rigid. Although there are two zipped hand warmer pockets and an internal mesh drop pocket, an additional breast or side arm pocket would have been a nice addition, particularly as it doesn’t seem to have been omitted in favour of weight-reduction. On the plus side the jacket is stow-able in its own pocket, making it easy to chuck in a backpack when heading out on a hike or ride. The looser fit makes it ideal for layering a lot out on the trail, providing flexibility in terms of warmth. On the flip side, the Torrentshell’s fit can be adjusted to be as snug as desired at the waist using the drawcord hem, ensuring warm air stays in and rain stays out. The Velcro cuffs can also be made more or less snug as needed. In warmer months or in periods of higher activity, the Torrentshell’s pit zips can be opened to allow for extra ventilation around the torso and avoid the wearer feeling too muggy. On the whole, this is a great shell that works across different seasons and temperatures thanks to its loose fit and ability to layer, and great breathability and waterproofing provided by the H2No technology.